A deep blue sky filled with high cirrus clouds drifts over Chautauqua Park and the Flatirons of Boulder, Colorado. 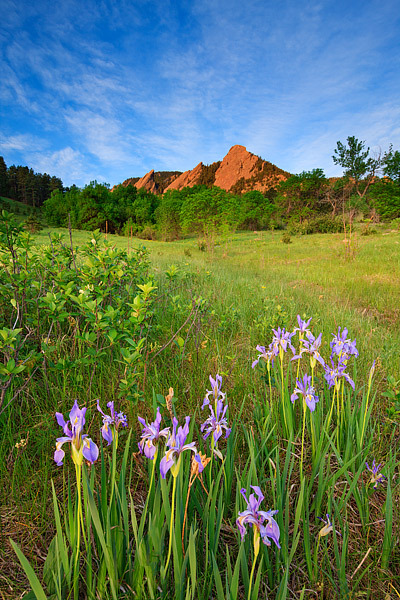 Over the course of the spring and summer, Chautauqua Meadow will fill with many different wild flowers. The purple Wild Iris are some of my favorite flowers to fill the meadow. Photo © copyright by Thomas Mangan.